CarGurus has 3,623 nationwide A5 listings starting at $7,495. The 2012 Audi A5 offers attractive styling, a powerful and efficient engine and a near-sport suspension in coupe and convertible configurations. 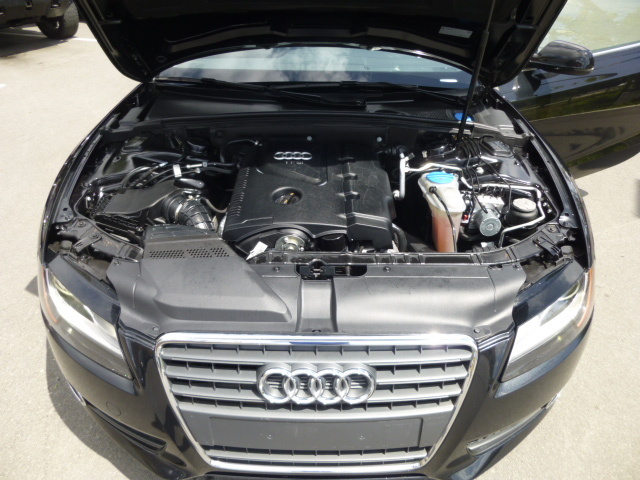 A rough idle and poorly progressive steering mar an otherwise solid package in the 2012 A5. The two biggest drawbacks of Audi's 2012 A5 are still the engine and the steering—the former for its rough character and tendency to send vibrations through the steering wheel and the latter for its awkward feel despite its precise operation. If you can get past those two issues, you’ll find a pleasant and comfortable touring machine that can be fun in the corners as well as easy at the pump. In Europe, the new changes have been criticized as too dated, potentially limiting the relevant life of the design—if that’s true, time seems to be running out for de Silva’s most beautiful design. Despite changes made to the Euro-spec A5 lineup, those of us in the colonies will have to be satisfied with the same old A5 we’ve seen stalking the highways for the past few years. This is not bad news. The A5 offers sleek lines for a 2-door coupe or convertible in the grand Teutonic tradition of Audi. In fact, the current A5 has been called one of the best-looking cars on the road, and designer Walter de Silva calls it the most beautiful car he’s ever designed. Of course, none of its appearance strengths deal with the actual mechanics or performance of the A5. Thankfully it strives to rise to the occasion, despite grumblings heard last year when the V6 option was dropped. For now, a direct-injected, turbocharged 2.0-liter inline 4-cylinder is the A5’s sole powerplant, an engine that provides more torque but less refinement than the more balanced V6. Fans lament the 2.0’s 211 hp, as opposed to the 3.2-liter V6’s 265, but its 258 lb-ft of torque make up for a lot of that loss, especially considering its utility, being available nearly immediately – from 1,500 to 4,200 rpm. Efficiency is a strong point as well, with an AWD 2.0T Coupe managing an impressive 21 mpg city/31 highway with the 6-speed manual transmission. Unfortunately, only the coupe has the option of the 6-speed manual. It can additionally be equipped with an 8-speed shiftable automatic, which will drop efficiency down to 21/29. Convertible trims are available in AWD with the 8-speed, offering the same 21/29 numbers, or in FWD with a continuously variable transmission for 22/30. Acceleration times won’t do much to inspire, but aren’t sluggish either, floating around the mid 6-second range. For this reason, and for its slightly porky 3,600-pound curb weight, the A5 has often been described as a luxury grand tourer, as opposed to a performance sedan. Things are expectedly firm here for the A5. Push hard and you’ll be surprised by the lack of lean the A5 exhibits, even with the base suspension. However, you’ll also notice a disturbing lack of side bolstering in the front seats that will have you sliding back and forth as you pour yourself through the corners. One way to combat this is the optional Sport Package made available for the Premium Plus and Prestige trims. Here you’ll get a sport suspension, steering-wheel-mounted shift paddles for the automatic transmission and sport seats that provide all the bolstering the stock seats lack. Adaptive cruise control is another standout option, as it will pre-load the brakes in the event of an imminent crash, but Audi Drive Select should be avoided. While the adjustable settings for the adaptive suspension dampers and transmission are welcome, the changes to the steering system only magnify the shortcomings of the poorly weighted system, which seems too light at low speeds and too heavy at high. This is a true shame, as everything else works so well. The A5 is quiet, too. 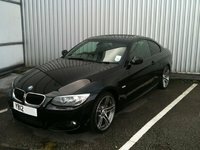 Even the convertible manages to buffer noise well, power soft top up or down, with the standard windblocker in place. Tires don’t seem to scream, either, although the engine can be rough at idle. Once it winds up and the turbo kicks in, things do get more pleasant. Starting with the base Premium trim, the A5 sports automatic headlights, fog lights, leather, front bucket seats with 8-way power, automatic climate controls and 18-inch wheels. Entertainment is handled by a 10-speaker stereo with satellite radio and an auxiliary audio jack with a dash-mounted multimedia interface (MMI). A convenience package will add Bluetooth and an iPod interface, and if you want a little exterior flash, a Style package will get you bi-xenon headlights, exterior trim and LEDs for the front and rear lights. This is all included with the Premium Plus trim, which also enjoys upgrades like tri-zone automatic climate controls, heated front seats, automatic mirrors and a memory system. From here you can add navigation, a rear-view camera with rear parking sensors, HD radio and voice control, all included with the top-tier Prestige trim. Paying the extra for Prestige means you’ll also get adaptive headlights, a Bang & Olufsen stereo, keyless ignition and entry and a blind-spot detection system. The A5 doesn’t skimp on safety, with standard traction and stability control, 4-wheel assisted antilock discs, fog lights and a smattering of airbags including dual front and front-side units. Coupes additionally get curtain-side airbags and daytime running lights, and A5s equipped with AWD also get a front limited-slip differential. Unfortunately, there is no safety rating information thus far for the A5 from the National Highway Traffic Safety Administration or the Insurance Institute for Highway Safety. Owners love the style and presentation of the A5, with only some small mechanical gripes. Its interior falls among the top competitors in the class with regard to design and construction as well as comfort. The rear offers less room and has been a complaint amongst owners who expect more from a middleweight. The slightly rough character of the 2.0 at idle has received the most complaints, but its power and efficiency go a long way toward making up for this. What's your take on the 2012 Audi A5? 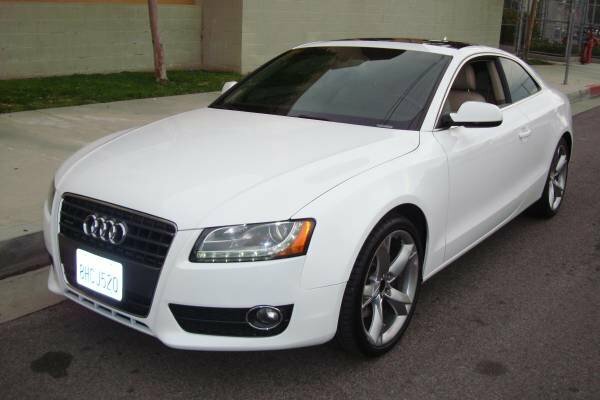 Have you driven a 2012 Audi A5? wot could the issue be? I'm about to buy a 2012 formerly leased A5 and would like to know if it's worth it... or is it fluff? Or worse, you go to redeem and you get stone-walled with trivial hangups.